It appears that Solo might've done more damage for Lucasfilm and Disney than previously thought. Right before the release of the young Han Solo movie, it was revealed that James Mangold was working on a Boba Fett movie that would have fit into the Star Wars spin-off anthologies. Additionally, the long-rumored Obi-Wan Kenobi project was reportedly in development as well. However, now that Solo didn't live up to box office hopes, it appears that Lucasfilm and Disney are looking to rethink their strategy for future releases and focus on Star Wars 9 for the time being. A new report from Collider claims that a source close to Lucasfilm revealed that all of the future A Star Wars Story anthology films are on hold at Lucasfilm for now. All of the people who were reportedly working on the Obi-Wan Kenobi movie are no longer working on the project and it is believed that all further work on the development of the Boba Fett movie will cease as well, which will be for the second time. Josh Trank was previously attached to direct the Boba Fett movie in 2015, but he was later released from project. While Solo might not have performed as well has Lucasfilm and Disney had hoped, it still earned quite a bit at the box office. Now, 4 weeks into its theatrical run, the Star Wars movie has earned $339.5 million. Rogue One on the other hand, had earned $424 million by the same point and later went on to end its theatrical run with a little over a billion dollars. For a Star Wars movie, the Solo numbers don't look sustainable for future budgets of the planned anthology movies, even though the numbers aren't anything to scoff at by normal standards. Many assume that the release date of Solo was the deciding factor as to why the movie is doing so poorly at the box office. The film came a mere 5 months after Rian Johnson's divisive The Last Jedi, and many believe that it would have been wise to push the project back to a December release date. It makes one wonder if the box office earnings would have been much different had Lucasfilm pushed the movie back after the firing of Phil Lord and Chris Miller last summer. Maybe a cameo from CyberFrog would have pushed up those box office numbers? It's important to note that Lucasfilm never officially announced the Boba Fett movie or the Obi-Wan Kenobi project either, which was more than likely a safety precaution to see how well Solo was received. While it's believed that the future A Star Wars Story spin-offs are on hold, everything else is reportedly still moving forward. That includes Star Wars 9, Rian Johnson's new trilogy, D.B. Weiss and David Benioff's trilogy, and Jon Favreau's live-action TV series. As for the remainder, we'll just have to wait and see what Lucasfilm and Disney decide to do. 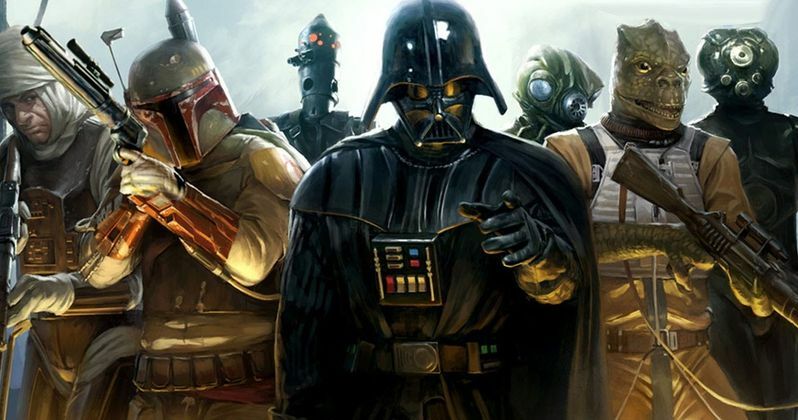 Even without the anthology films, there's still a lot of Star Wars in the pipeline. This story was originally reported by Collider.